Finally I’m done with the ever so terrifying CAT-2015. Have a few more less scary exams left to finish and then I would know where to head over next year. All these exams and the festivals last month left my skin in a very bad state and of course you can blame the hormones too. That’s when I came across this face serum named “ELISIR” by a startup company called IWOWD SKINCARE launched by the pretty blogger ANKITA DAS. IWOWD skincare promotes living an all natural, holistic lifestyle and using all natural ingredients for rejuvenation of one’s body and skin and the 100% natural face serum ‘Elisir’ is their first product in this direction. Recently I’ve realised how important face oils and serums are for us. They are anyday more effective for our skin and does wonders in a very short period of time , but in a NATURAL WAY. I received this product in the month of October and I’ve been using it ever since without a stop. It’s been more than a month which according them is the prescribed time to see results and I can vouch on the fact that , yes it has shown some really great effects on my skin. Claims: This 100% natural face serum is free from any chemicals and helps in reducing sun tanning, blemishes, sun burns, pigmentation and rejuvenates for a brighter and firmer looking skin. Not tested on ANIMALS. Packaging: It comes in a brownish tinted glass bottle with a dropper cap. The dropper is really useful to take the right amount of product for one use everytime. The ingredients are clearly mentioned on the label but sadly the price isn’t mentioned on it. The only drawback is it’s not at all travel friendly due to the glass bottle. Ingredients: Contains Argan oil, grapeseed oil, rosehip oil,jojoba oil, evening primrose oil, avocado oil, lavender oil and geranium essential oil. Fragrance: The fragrance is very naturally and smells a bit like rose but nor overwhelming at all. Combination skin-2 drops in day and 4 drops at night. Price and quantity: INR 1099/- inclusive of all taxes for 30ml bottle.This is really cheap considering other high end brand serums available in the market currently which are priced at a minimum of INR 3ooo and higher. I started using this on 20th of October and it’s still only half bottle over since only a few drops is required everytime. I had a lot of pigmentation around my mouth and some sun tanning and it actually helped me getting rid of those problems. I wouldn’t say it’s completely gone but yes, it has done it’s magic and I’m going to continue using it and purchase another one soon too. I usually cleanse my face in the morning and night and apply a few drops as per instructions on my face in an upward motion and pat the serum so that it can penetrate into the skin and do it’s work. Also my skin is soft and brighter and I noticed a clearer complexion.It makes my skin felt moisturized.It is also good for acne prone skin as it didn’t break me out. Since I have a sensitive skin, this serum didn’t cause any redness or itching, hence really good for people having sensitive skin.However,patch test is recommended.Also if someone is allergic to nuts,latex, grapeseed, nursing & pregnant mothers,should refrain from using this. Affordable as compared to other available face serums in the market. Does not break you out and shows immediate results in a month. Can be only ordered through their Facebook page and no COD available yet. Ratings: I would give it a 4.3/5 and definitely recommend this if your are looking for a face serum in an affordable price range. 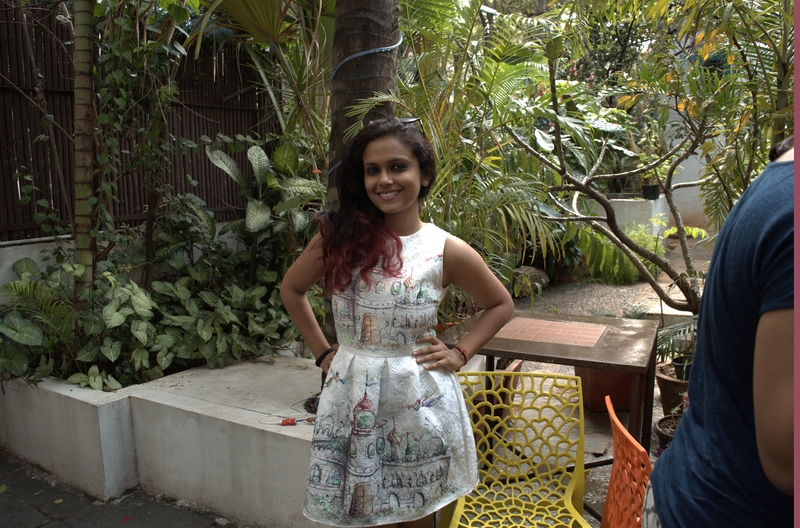 A big shoutout to Ankita for curating this amazing product. You can visit the FACEBOOK page and their WEBSITE by clicking here and here. And also don’t forget to comment below and tell me what do you think about this product and if you have any other face serums that i should try. Ever since I used some of the skincare products from the popular Korean brand INNISFREE, I’ve been obsessing over Korean skincare and soon would try some of the makeup products as well. The Korean skincare and makeup is a huge RAVE throughout the globe and for obvious reasons. They work extremely well for your skin and has the least amount of chemicals and harmful products in them. 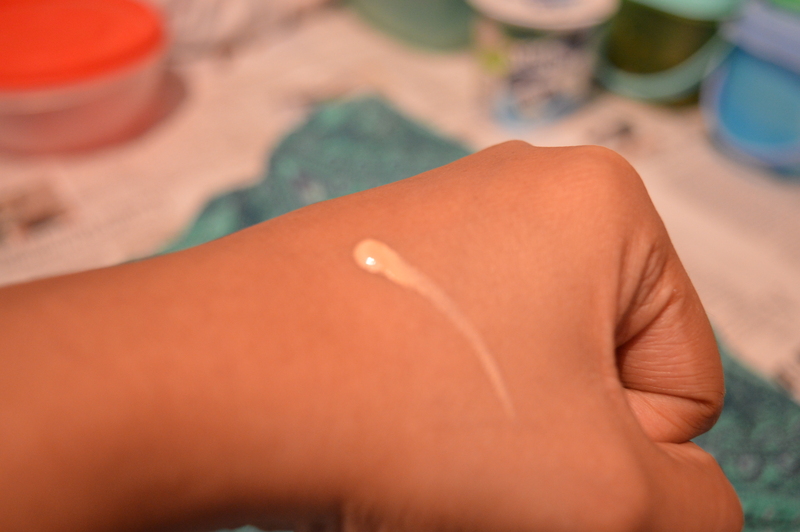 Some of their products have ingredients like SNAIL SLIME which is known to do wonders for your skin. Well, you can see the magic on every Korean girl or even a guy’s face. They have the most amazing skin in the world I feel. The awesome people at SKIN18 were kind enough to send me some skincare products to try out and review them for you all. And I would never say no for Korean products. The availability of these products in India is almost NIL provided you stay in Delhi, then you can get your hands on INNISFREE. But for people like me who has no option SKIN18.COM is the bombdotcom. Here are the products that I received and I will be doing an individual review on each product in my future posts. Everything came nicely bubble wrapped and reached me in about 15 days from the date of shipping which is quite fast provided it is shipped from HONG KONG . I am really glad that they sent a good amount of products for me to try out and Korean skincare can in no way harm the skin because of the natural ingredients in them. You can completely trust the website with your shipping and their shipping is really fast as compared to many other international websites. I have a special giveaway coming soon on the blog for 100 subscribers celebration, Keep a watch on this space and do let me know if you have ever tried any KOREAN SKINCARE products. I have stayed most of my life is the northern part of the country and the winters out there is cruel and harsh and now that I’m in Bangalore, I don’t get to experience that much. Thanks to the constant pouring from the last 2-3 weeks, the weather out here has become pretty chilly and one can feel that WINTER IS HERE!! A few days back I was invited for a blogger’s meet at the Indiranagar Kazo store where they were going to launch their new party and winter wear collection. For the first time , I got to meet some of the most amazing fellow bloggers from Bangalore there. I got to check out their new collection before the event started and found some really unique pieces ranging from their cool jackets to classy handbags to some pretty and elegant accessories. The one thing that I noticed in the store was even though there was a lot of sequins and bling involved in their collection, it still looked subtle and classy and not tacky at all and that’s what impressed me. You can still pair up their sequinned tops and dresses and go out for a day-out without looking like a DISCO BALL. The handbags and clutches had some really nice silhouettes and winter appropriate. The event started with the managing director, Deepak Agarwal telling us that the aim behind putting up this well organised bloggers meet was to extend help to the fashion connoisseurs and offer an array of new patterns and embellishments that reflect the free spirit ethos of the company.The only thing missing was a footwear section and on asking Mr Deepak, we got to know that they have plans of coming up with footwear collection soon in the future. The most EXCITING part of this whole event was that we were given a chance to style ourselves in their new collection in a mere 30 minutes and also walk the ramp. I chose an embellished animal printed dress and paired it up with a black faux leather jacket. Since the dress was a statement in itself, I didn’t want to go over the board, hence carried a black box clutch and a simple neckpiece (Took a bit more than 30mins though :P) All my fellow bloggers looked stunning in the KAZO collection and we were judged by Mr. Deepak for the walk as well as how the outfit defines our style statement. Even the men in the event were asked to walk the ramp and I must say they were not bad at all.We were all handed over our Kazo goodie bag and treated with some yummy snacks. All-in-all, this meet was super fun, meeting the lovely ladies and getting to know more about blogging, styling myself everything was enthralling and high-powered. I am definitely going back to get my hands on a jacket that I really liked for my birthday and you guys should definitely pay a visit too if you are in Indiranagar this weekend to check out their new collection. Coming back to the post, remember a few posts back I told you guys about this super cool website called CNDirect.com and how did some splurging over their website and received some really amazing things??? If you haven’t read that post click HERE. So a few days back I received my package and I was really impressed by the fast shipping done by them through ARAMEX. I was a tad bit sad as I had to pay a custom charge of 700INR, but I think I can’t blame the company for that right.. So here are the items that I received and how I styled them. This brush is the dupe of the VEGA buffer brush and even feels exactly the same. The brush is a little dirty in the picture because I used it to try how it felt on the skin and I was impressed by the even coverage it gave and so far the brush has not shed even after washing it. I was planning to get a pair of cat eyed sunglasses from so long and finally when I saw this on CNDirect, I knew I have to order this. They are super comfortable and fit snugly on my face. The quality of the bag is really good and has enough space to carry a few books to college or school or even take out for a casual day-out. I absolutely loved the color and the cute moustache. I absolutely loved the material of both the top as well as the leggings. They feel so soft and the oversized top goes perfectly with the faux leather leggings. The overall experience with CNDirect.com was amazing and I got all these together with the shipping costed just 25$ which the CNDirect guys paid for me. 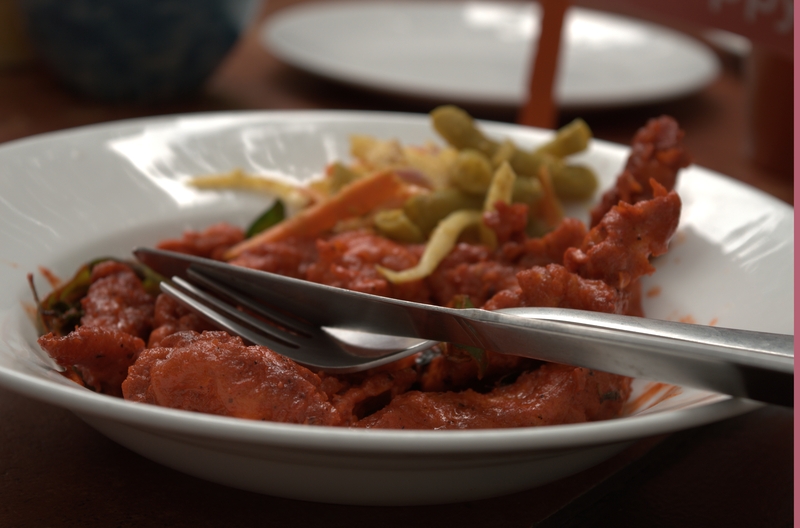 But this is an honest review as I was not paid for it by anyone. I totally recommend CNDirect for getting some of the best quality and in trend products at the most affordable price. Have you tried CNDirect? If you did, do let me know your experience in the comments below. Hope you guys enjoyed reading this post. First of all a big big big SORRY for disappearing for almost 2 weeks from here. I was held up with so much of stuff from work to studies to even health. The weather here in Bangalore is really bad due to the heavy rainfall and hence I was super pissed for not able to take good pictures outdoors. If you have read my previous post about this new clothing rental website KLOZEE(click here), you would know how much I loved the whole concept of renting some really amazing outfits for a small price. Since I loved Klozee so much that I went ahead and ordered 2 more outfits and styled it for the wedding season- an Indian wear and a cocktail dress. This is that time of the year when the wedding invitations would be pouring and obviously nobody would want to repeat their outfits and that’s when KLOZEE comes into rescue with so many options to choose from. Here, I have chosen a pretty wine colored LEHENGA which is perfect to be worn for that special wedding event and an elegant red maxi dress for the after-party. Don’t mind the background and the lighting in the pictures as I had no option but to shoot it inside the house with a very poor lighting due to the rain. The wine lehenga was so pretty on it’s own that I did not want to accessorize it hence paired it with a neckpiece that I got from CNDirect.com and a pair of ethnic earrings. For that perfect cocktail party, The red dress with the caged detailing on the neckline made it all the way more easier to not think of what accessories to wear as it was perfect on its own. I loved how both these outfits were super affordable and I rented the red dress for just 449INr(actual price-4000INR) and the wine colored lehenga for 3499INR(30000INR) and you don’t need to worry about washing them or returning them right away as they let you keep it for 2 complete days and send the pickup boy to come collect it from your house. And as I mentioned earlier in my previous post, they even have a 3HR express delivery service for those emergency events you want to attend. If you still haven’t checked their website and the awesome collection, head over to their website Klozee.com to get the perfect outfit for this wedding season. Also they have some great discounts going on and you can check them out on their FACEBOOK PAGE as well to avail some of their best offers.As they clearly mention on their website, all you need to do is “INDULGE, AND NOT SPLURGE” because #RentIsTheNewBuy!!!! Diwali is around the corner and you still haven’t done your shopping???? This happens to me almost every year and honestly speaking I don’t end up buying Indian ethnic wear much as I know I would not be wearing them on a daily basis, so why spend so much money. And for my rescue, I came across this superb website called KLOZEE.COM. So we all face this situation wherein the entire room would be covered with heaps of clothes all around and still we will be in a “I DON’T HAVE ANYTHING TO WEAR” situation. And that’s when KLOZEE comes into rescue. 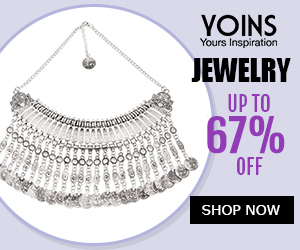 This website is like your perfect online wardrobe from where you can choose some amazing designer and high end branded outfits for a very minimal fee for that perfect occasion. They have something to wear for every occasion and that too without making a hole in your pocket which is just the fraction of the original price. When I first got to know about this concept of renting clothes, I was a bit skeptical as to how would the clothes be, will it be hygienic to wear something that’s been already used by others. I ordered 3 different outfits to style them for this Diwali and each one of them came in a nice cardboard box with some discount coupons in them. You get to keep the clothes for 3 days and you don’t have to worry about washing them later because they will send a person to collect the outfit and they take care of the sanitization part. COOL STUFF right!!!! This is a very easy way of styling your maxis into a semi-ethnic wear and with this dress from KLOZEE at just a mere amount of 350INR. Currently Klozee delivers only in Bangalore, Delhi and Mumbai and also has an option for 3HR EXPRESS DELIVERY for those of you who gets into “unplanned events” situations and need something to wear urgently. In case the dress doesn’t fit you, there’s an option to get it changed with another one within 2HR for FREE. They have a 50% off on your first delivery once you register and I think that’s a great deal for a new customer. You will be really pleased by their service and the quality of their high-end branded rental outfits. I hope you like this post and I will be coming up with two more looks with the outfits I received from KLOZEE soon. And don’t forget to let me know your opinion about this look. 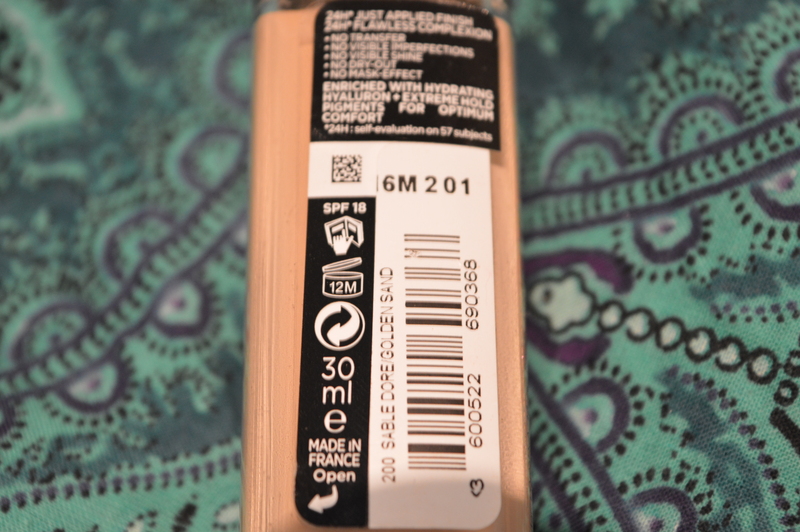 Today I will be reviewing a miracle product for you all – The L’oreal Infallible 24H stay fresh foundation in the shade 200 Golden Sand. Why did I call it a MIRACLE product? Well, by the end of this post you will get know why. So let’s get straight into the review and swatches. Packaging : OMG! This drugstore foundation comes with a cool pump! It’s functional, it’s neat, it’s travel friendly (Although the bottle’s a little heavy) , and looks great on your makeup table. One pump of the foundation can give you medium coverage for the entire face. 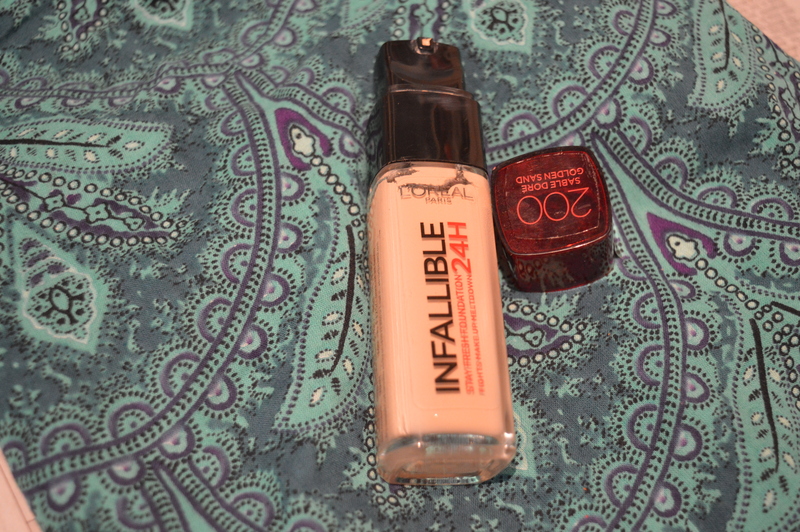 Consistency : The consistency of the L’oreal infallible foundation is a little thick and dense. It blends out really well, but you will have to do the blending really quick as it sets really fast too. So avoid putting too much product at once and start off with a very little product , and work in sections. 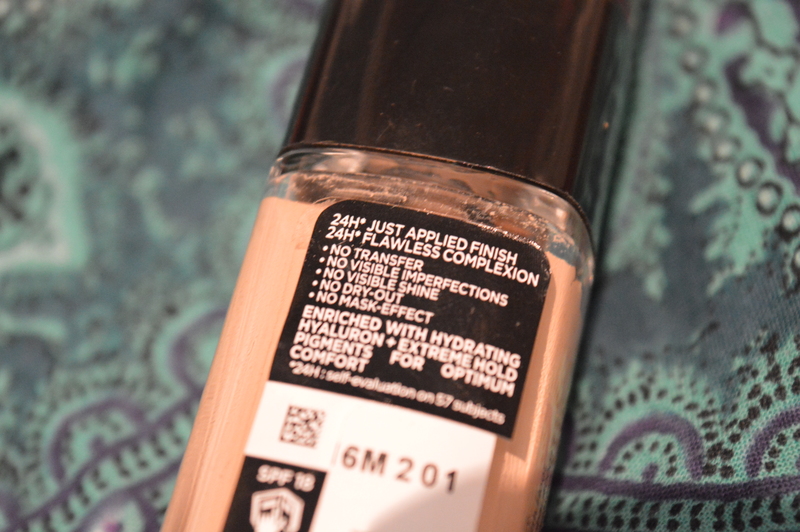 Coverage : It’s a medium to full coverage foundation depending on how you layer up the product and buff-it out. Personally, i have a few spots and a little bit of pigmentation around my mouth, so i do use a little bit of concealer underneath this foundation. With trouble spots taken care of, it doesn’t even need to be built up for coverage , and evens out your skin and giving you the cleanest canvas to work with. End Result: The finish of this foundation is powdery once it sets, and so it is more on the matte side, though for people like me who have a little oily T-zones, this might not be mattifying . It can accentuate a few dry patches , but that’s nothing some primer or moisturizer can’t fix. It does look a little bit cakey if you apply it as it is and happen to have dry skin, and even with a primer underneath, it looks a little bit made-up. So make sure to moisturizer your skin prior to using this foundation. the best way to use this foundation is by using a buffing brush or a makeup sponge as fingers might deposit the product unevenly on the skin. 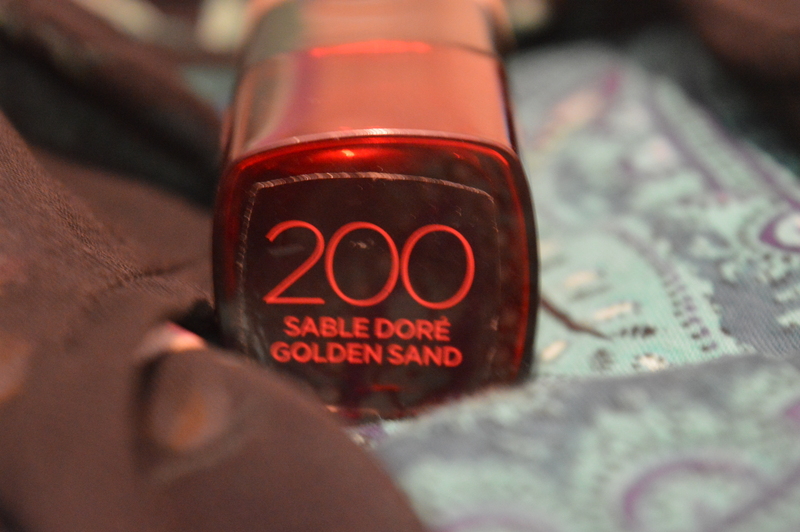 Shades : The shade that I own is Golden Sand-200 and girls you will be happy to know that this range has some great varieties of shades especially for Indian skin tones with more of yellow-undertones and less of pink-undertones.My shade is a warm-tone yellow based shade and I love this fact s most of the foundations I’ve used before always made me look like a ghost because of the pinky undertones in them. I think most of the Indian ladies will definitely fall under 200-300 shade range. Price: Rs. 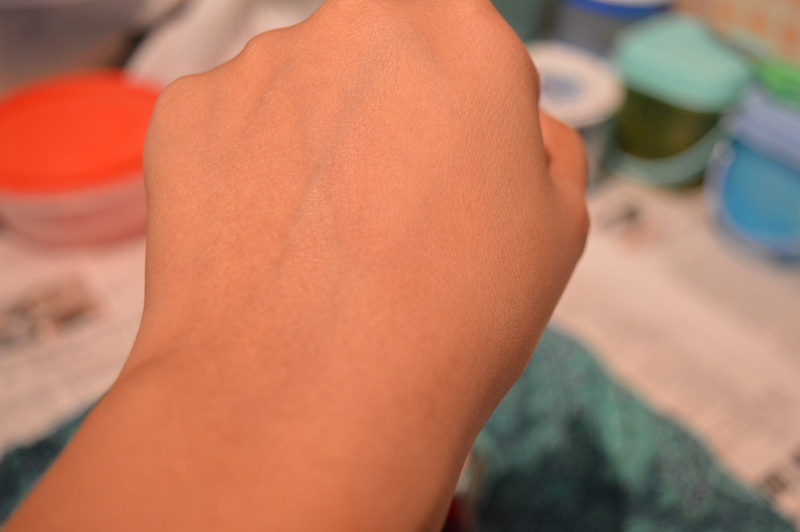 1325 for 30ml , which is a little bit high for a drugstore brand, but hey, it’s worth it with a foundation like this. Product sets in fast, thus need to work with the blending really quick. 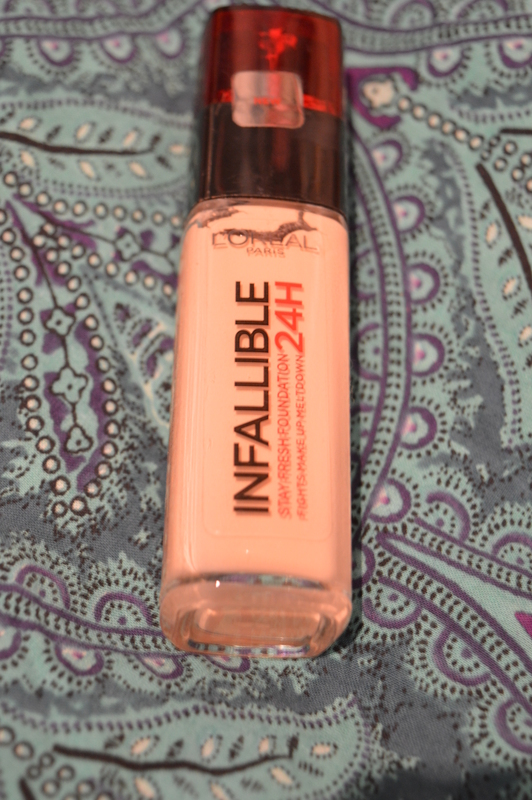 Have you tried out the L’Oreal Paris 24H Infallible Liquid Foundation?I would love to know your opinion about this product!!! 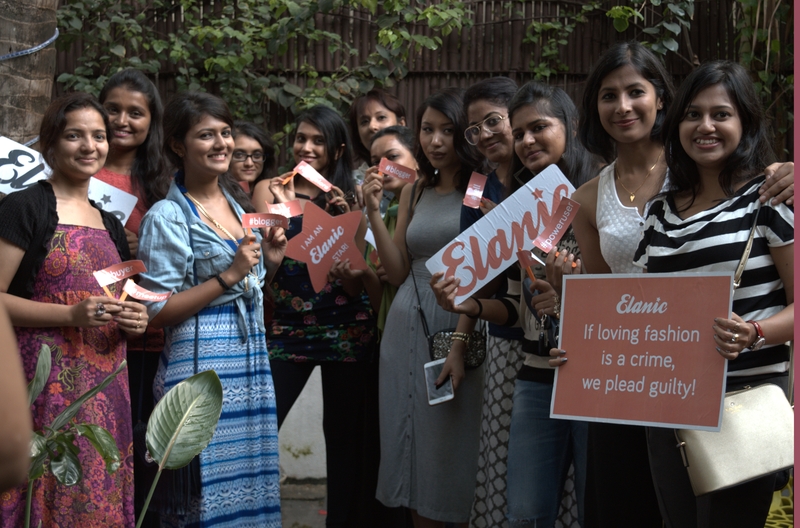 All about my ELANIC meetup!!!! How’s Monday treating you all? Mine was super hectic as I had to clean my entire house since I was away from Bangalore for almost a month and it was a living hell in my house here. Anyway, today I will be telling you all about my first ever meetup as a blogger with some really awesome people from this app based company called ELANIC. If you are a regular on my blog, a few months ago I had talked about this amazing app and how you can make good amount of money with your used clothes, shoes and accessories by selling on ELANIC. And if you haven’t read that post CLICK HERE. So a few days ago, I received an email from the team of ELANIC inviting me for a meetup with some of their app users on 1st of November. 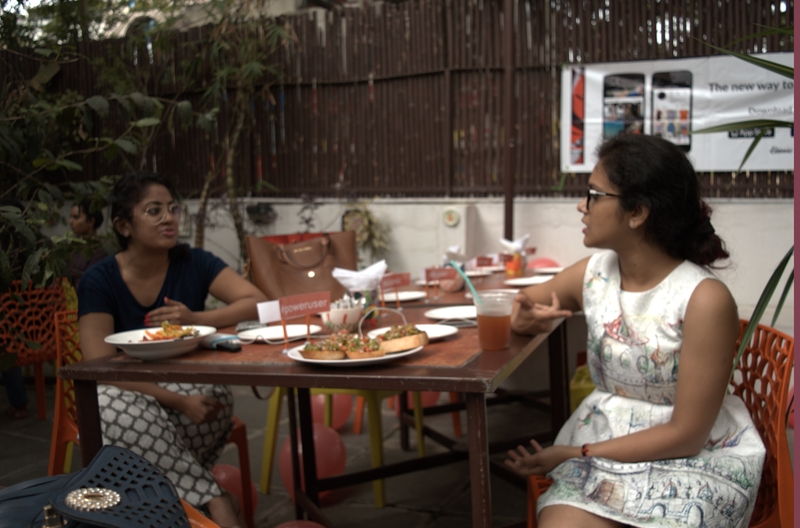 To be honest, I was jumping around in joy because I have never been invited to any such events and being a blogger, I knew there would be many other bloggers from Bangalore who would be coming there as well. 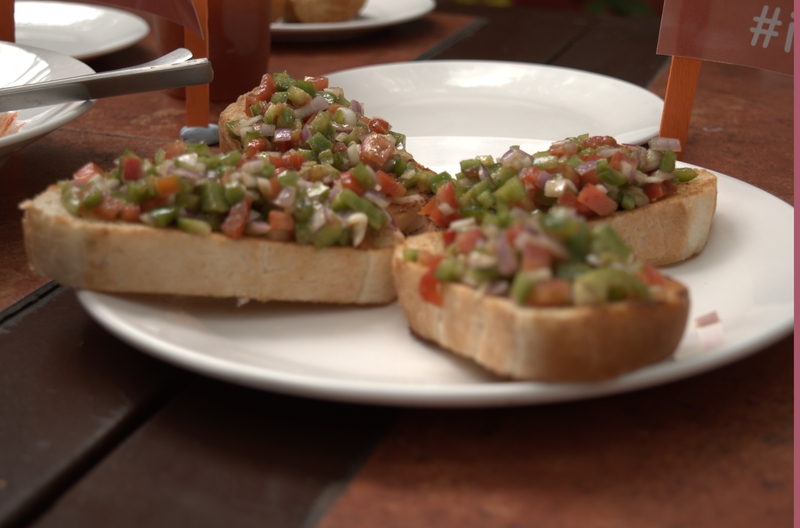 So the day of the meetup, which was supposed to happen at a very chilled out and popular place in Kormangala, Bangalore called the “BISTRO CLAYTOPIA” from 12 PM to 3 PM. Since I had just returned back from Chennai, I had to rush over to the venue with literally 30-40 minutes to get ready and put on makeup and leave from my place. Trust me guys, that’s like a big achievement for me as people who know will tell you what a mess I can be when it comes to getting ready to even go for a casual day outing , forget a major event or a party. What I wore to the event! It was such a lovely and laid back kind of a place and I met the members of the ELANIC team and they were some of the most amazing and affectionate people I’ve met so far. I got a chance to meet the founders of this amazing venture along with the other cool people of their around 8 member family naming Palkush Chawla, Aditi Rohan, Shruthi George, Shaaz and a few others( If you are reading this, sorry guys I totally forgot your names). Anyway, back to the topic, I had a wonderful conversation with all of them about what they are doing and how they moved from a house to a complete setup office in just a matter of months. It was so inspiring to know the story of ELANIC grow in such a short span. Slowly the others who were invited also arrived and meeting each one of them was such a delight. We got to share so much of our stories and experiences with each other. 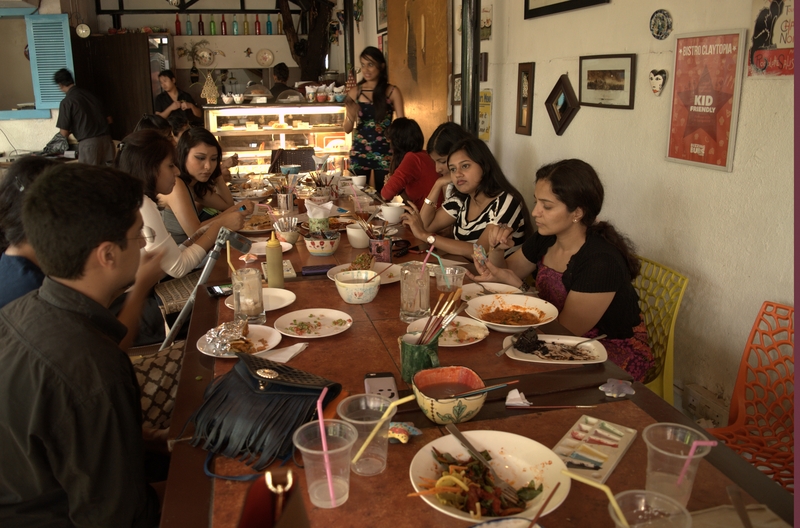 I even met few other bloggers like Sonia from sheervanitysonia.com and Debalina who is a food blogger. I also got to meet a few other ladies from doctors to engineers and many more. 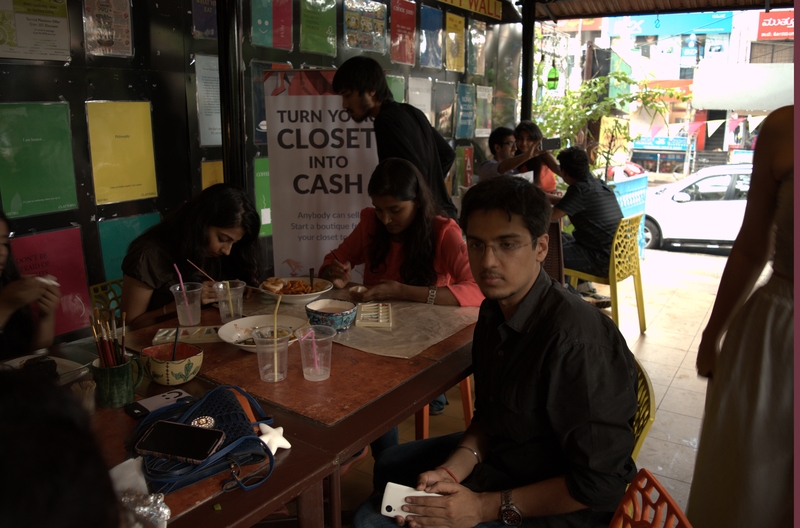 One of the co-founders, Palkush wanted to know our feedback about the app and how it can be improved further. We all gave in our opinions and how all of us loved their quick service and the amazing quality check they do before sending out any pre-owned stuff at our doorstep. 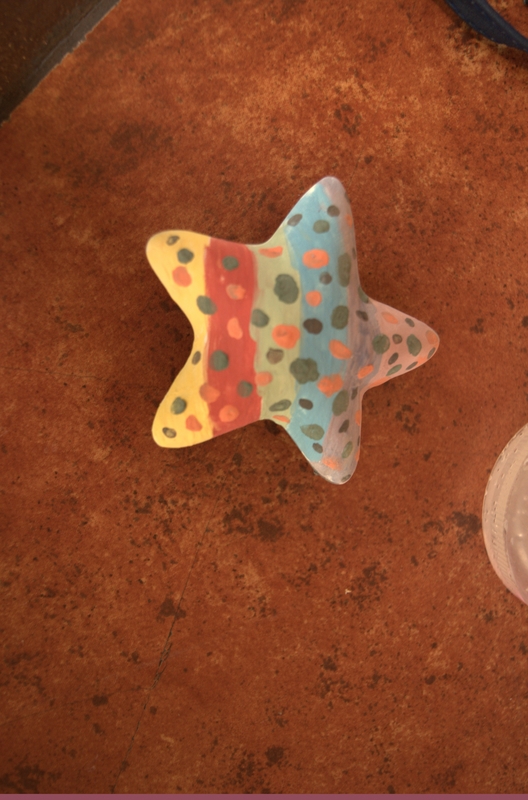 We were even given a blank ceramic STAR, which is the ELANIC’s logo , to paint however we want and was promised to send it out to us later as fridge magnets as a token of remembrance. 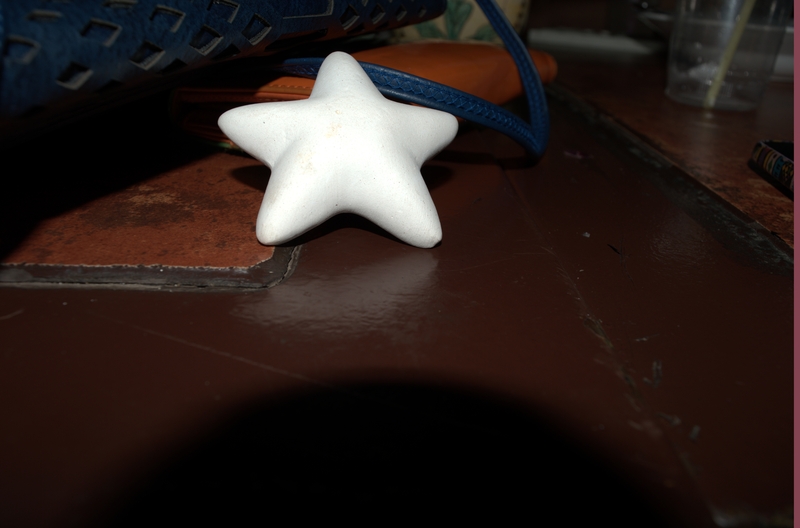 I could feel the kid awakening in me as I was literally walking around to everyone’s table to pick up all sorts of colors to make my star look the most colorful. We got to eat some really tasty lunch from the BISTRO CLAYTOPIA’s menu and I decided to have masala chicken roll which turned out to be so yum. 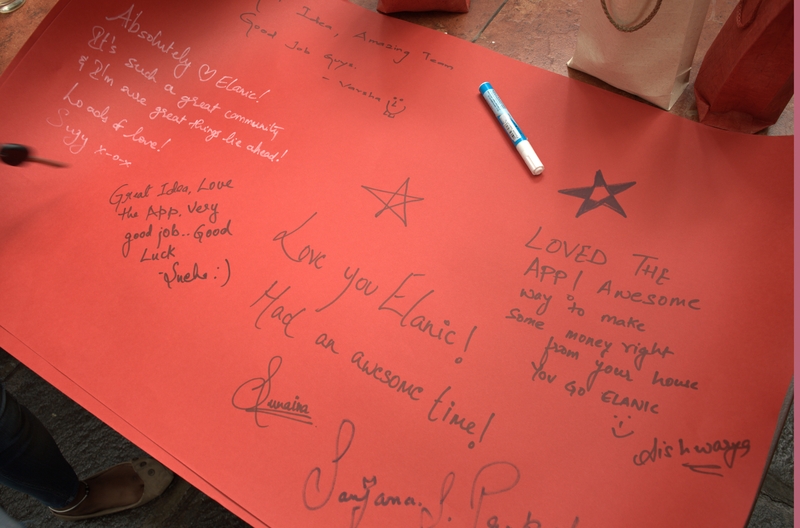 In the end, we all took some really cool photos with the entire ELANIC COMMUNITY and got to write a short message each for the elanic team. 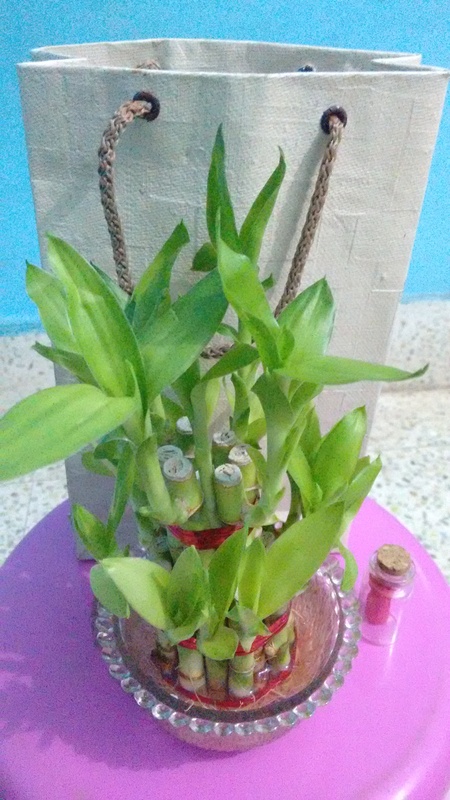 We were sent off with a cute paper goodie bag which had a really pretty indoor bamboo plant and a tiny message bottle with a message in it. It was a Sunday to be remembered and was absolutely worth all the fun we had. The people I met from both Elanic and the users were so fabulously sweet and I got to learn so much from each one of them. I also had the opportunity to spread more info about my blog and they were really sweet to check out my blog and give me some suggestions to improve the blog. This was my first ever event being a blogger and I will be remembering it for a lot of reasons.